In 1927, young Southern belle Charlotte Hollis and her married boyfriend John Mayhew plan to elope during a party at the Hollis family’s mansion in Ascension Parish, Louisiana, but instead she finds John murdered. Nobody is convicted, but most think that Charlotte did it after John changed his mind, while Charlotte thinks her father committed the act. 1964: Charlotte lives as a recluse in the crumbling mansion, the only people who regularly see her being her loyal housekeeper Velma Crowther and her longtime friend Dr. Drew Bayliss. The Louisiana Highway Commission intends to demolish her house and build a highway, so she calls upon Miriam Deering, a cousin who lived with the family as a girl, to help. But then she starts hearing and seeing things…. It was What Ever Happened to Baby Jane? that really kicked off the so-called ‘psycho biddy’ [or ‘hagsploitation’] subgenre, in which fading Hollywood actresses played at being more than a little bit round the bend. It was a rather cruel fad that asked us to take pleasure in seeing once glamorous women who had also lost their looks lose their minds on the screen, emphasising aging, decay and death, yet a lot of actresses were game, probably because the parts were generally very juicy and allowed plenty of opportunity for barnstorming. 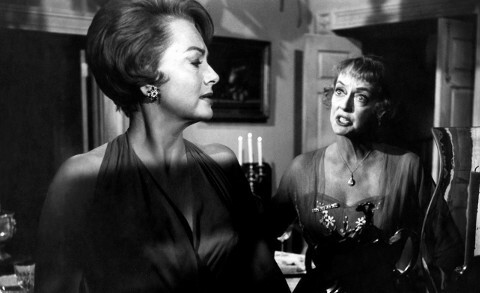 The 1962 Bette Davis/Joan Crawford hit remains the most iconic example, though I don’t really think it was quite the best, for me Hammer’s The Nanny [Davis again] probably being an all round better film. And now that, courtesy of Eureka Entertainment, I’ve finally seen Aldrich’s follow-up with Davis [she sure liked doing these roles] and Olivia de Havilland, I would say that it’s probably just as good. While clearly an attempt to repeat the success of What Ever Happened to Baby Jane?, bringing back some cast and crew members as well as some story elements certainly didn’t result in a pale shadow or a carbon copy. For the most part dispensing with the black comedy that was a major part of the previous film [though there is a bit with a dead body sliding down while the killer is answering the door that manages to be both darkly comic and very tense] and the important Hollywood aspects, it’s surprisingly close to the black and white twisty mystery suspensers that Jimmy Sangster was writing for Hammer around the time [i.e. Taste Of Evil], though of course he got some of his ideas from a certain French movie I won’t name. Aldrich can’t quite maintain tension throughout a film which is a bit overlong with some padding, but he shows a real flair for this kind of Southern Gothic material, while the two leads are just terrific – and they’re certainly not the only mature luminaries they got to appear in this, which sometimes gives this film an even stronger Sunset Boulevard vibe than its predecessor despite the lack of the Hollywood setting this time around. It was adapted from by Henry Farrell and Lukas Heller from an unpublished short story by Farrell’s entitled What Ever Happened to Cousin Charlotte?. Aldrich wanted to re-unite Davis and with Crawford, but their feud, which had began during the previous film though they’d disliked each other for decades, got underway again when Crawford accepted the absent Anne Bancroft’s Oscar for The Miracle Worker, an award for which Davis had been nominated but not Crawford, thereby angering Davis who said she’d only accept her role if she got a producing credit. Crawford behaved so imperiously while filming in Louisiana at the Houmas House plantation that on the last day of shooting, she fell asleep in her trailer and awoke to find that everyone had gone back to the hotel without her, something she thought Davis organised. Back on the Hollywood set shooting the interior footage, she claimed she was sick, causing production to be delayed for two months, but nobody believed her and eventually the Fox heads ordered her to be replaced or the film would be canceled. When Aldrich convinced Olivia de Havilland to take the part, he intended to let Crawford know by letter, but Crawford instead found out on the radio because Davis leaked the news to the press. Cast and crew were scheduled to return to Louisiana so the exteriors could be re-filmed, but a week before the proposed departure this was canceled because the budget had spiraled so high, meaning that de Havilland is never in any of the real Louisiana location shots. Though not a major hit, it was fairly well received and got seven Oscar nominations, surprising for a film like this. In the UK, the opening murder lost a few seconds due to the BBFC. No doubt full of confidence, Aldrich opens his film in striking fashion, giving us shots of the main house that take us closer and closer to it while we hear a man ranting and raving at another. Finally we zoom into a window and join Sam Hollis having a go at John Mayhew, the man who’s been seeing his daughter Charlotte. Sam seems to be reacting in a very over the top fashion, though you’d best get used to it because ‘going over the top’ will soon be a major component of this film. John is married, but it seems to be more a kind of jealousy that angers Sam so much. Sam thereby breaks it of with Charlotte, causing her to cry “I could kill you” – and indeed somebody soon does in quite a shocker for the time, beginning in somewhat humorously suspenseful fashion as a waiter is told off for using a cleaver to open a champagne case and the thing sits there as we wait for someone to pick it up. John’s hand is severed and blood spatters on to a statue, though the Hitchcock lover in me couldn’t help but chuckle at the realisation that this was the second time in 1964 in which Bruce Dern played somebody who was killed in a flashback. 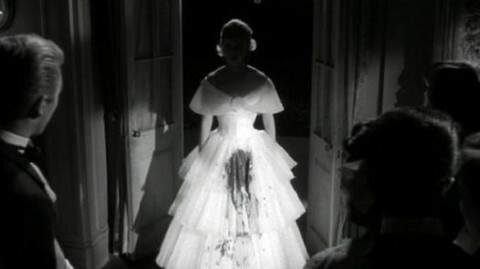 Charlotte then appears before party guests with blood all over her dress – but she can’t have done it, surely? Then follows a really blood curdling moment when father holds his hand out to her saying “come with me baby” and she pleads “I don’t want to papa” before the screen goes black. The nature of what’s about to happen is pretty obvious, and while this is only referred to once later on, it’s pretty disturbing because Charlotte seems to recall the abuse with fondness. It’s no surprise that some critics of the time found this film to be tasteless and disgusting. We rejoin Charlotte 35 years later, a lonely old woman haunted by the past and now the owner of the family house which is becoming a bit decrepit, though not quite the dangerous mad person many locals think she is, and hopefully not a murderer either. Some young boys dare another to sneak into the house, though despite some great suspense-building and the first of several examples of Aldrich’s favourite high angle staircase shot, Charlotte is also startled – though the boy seems absolutely terrified. And now at last we get the titles, with Charlotte emoting at us on the right hand side and the music going from a twisted child’s nursery rhyme to a lush, nostalgic melody. Next we see Charlotte drive off some workers with a rifle after which the Sheriff pays her a visit. They want to bulldoze her house to build a road, and, having been already asked to leave, she’s now given just twelve days to vacate the premises. One can understand her desire to stay, and we do sympathise with her throughout even though she’s always likely to throw a tantrum and abuse her loyal housekeeper Velma – though is she as loyal as she seems? The arrival of cousin Miriam, who Charlotte thinks will help her fight off the developers but who just seems to want to prepare her for moving out, seems to coincide with sightings of stuff like torn dresses, a bloody cleaver beside a severed hand, and a magazine containing an exploitative article about Charlotte. After all it’s soon revealed that in 1927 it was Miriam who told both Sam and John’s wife Jewel about Charlotte and John so she must be involved somehow – though then again Miriam sees some of these things too so you begin to wonder more about her old boyfriend and Charlotte’s doctor Drew [especially when he’s introduced with half his face in shadow] and Jewel who’s still around. The final half an hour really ramps things up with twists and turns galore. Before that, the pacing is a little too stately for the material with the bits with journalist Harry Willis having too much of a relaxed vibe. On the other hand I can never do without enough spooky nighttime wanderings by women in night gowns in an old house, though others may consider some of this to be padding. These bits do have an incredible Gothic feel to them, with cinematographer Joseph Biroc’s film noir-like use of shadows being an especially important component. Thunder, mysterious music being heard, one character possibly coming back from the grave – Aldrich seems to really enjoy doing this stuff, which makes it a shame that he never made a supernatural horror movie. His crowning sequence here is when Charlotte hallucinates and thinks that she’s getting married to John while all the guests wear faceless masks and everybody shimmers in a ghost-like fashion. Of course the centre of the film is the relationship between the two cousins which does have its fleeting touching moments even if simmering tension, bitchiness [they first argue over who should make the bed] and more are the order of the day. De Havilland, who at 48 is still a fine looking woman, obviously didn’t see the point in trying to match Davis so goes for a calm sternness with occasional outbursts that works very well, and I don’t think that Crawford would have been as good. However, your eyes will most likely be drawn to Davis anyway as she constantly barks, whimpers and acts totally and utterly terrified without cliched screaming. Meanwhile Agnes Moorehead, playing Velma, pulls the most bizarre expressions as she tries to take the film from Davis, though things sometimes get a bit too much when they’re both going at it. And yes, that’s silent star Mary Astor as Jewel, while Joseph Cotten is also on hand as Drew. George Kennedy briefly turns up in an early role – but the oldies totally dominate this film and it’s great. All the cast members also make effective stabs at Southern accents without seeming showy which helps a great deal. Frank De Vol’s score manages to serve as both ironic [without rubbing it in the viewer’s face] underscore and effective heightening with some eerie sonorities here and there. Certain aspects of the story don’t hold up too well in the light of day – for a start one major element is absurdly complicated and hinges on a lot of guess work – but then that’s often the case with these things. And as usual for Aldrich, there’s a bitterness about the whole thing that makes the film hard to love even if you appreciate many of the things in it and how well it’s been crafted. However, there’s also a little pathos in there too especially in Davis’s final scene where one really feels tremendous pity for the character. Despite his reputation as a cynic, when Aldrich wanted you to care, he damn well made sure you did. While I personally would have tightened the 133 minutes into something shorter and faster, overall Hush…Hush, Sweet Charlotte is a winner and deserves to be as well known as What Ever Happened to Baby Jane? – highly atmospheric, occasionally a bit frightening, well plotted, and with the extraordinary sight of Davis trying to literally eat the scenery before your very eyes. What’s not to like? I’d never seen Hush…Hush, Sweet Charlotte before so I can’t compare it to many previous editions. Eureka have probably taken the master used for the Region ‘A’ Twilight Time Blu-ray and given it a new encode as usual, resulting in what is probably the finest presentation of this film for home viewing. Despite the amount of black around there’s no crush and things are very crisp and detailed while still looking like a film from 1964. Eureka have ported over most of the special features from the Twilight Time which combined the extras from the two 20th Century Fox DVDs, though they’ve replaced one commentary and replaced the isolated score with a booklet. Seems fair to me. It was only a week ago while reviewing Arrow Video’s release of the giallo The Forbidden Photos Of A Lady Above Suspicion that I was pleased that critic Kat Ellinger, whose pieces on Arrow’s extras I’d always enjoyed, had got the chance to do an audio commentary, and now I see that she’s done another one. I’d say that this is an even better effort, even allowing for the fact that there’s infinitely more information available about the making of this film. Kat again proves herself to be especially good at placing a film in context so you understand its place in both genre [this particular film seems to mix several] and film history, and makes an excellent case for Aldrich’s ‘women’s pictures’ which tend to be neglected in favour of the director’s more male-centred, macho work. Biographies are nice and concise, and the David/Crawford feud is eventually gone into in terrific detail near the end. 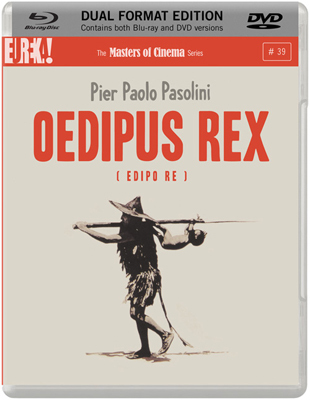 The older commentary by Glenn Erickson, who under his ‘Cine Savant’ [formerly ‘DVD Savant’] monicker is one of my favourite on-line critics, is perhaps a tad less strong as Glenn does give some very lengthy biographies that may cause one’s mind to wonder, and likes to tell us what’s happening on screen rather too often, but he adds plenty of his own insights, somewhat emphasising plot over themes, which makes it a nice contrast with the previous commentary with surprisingly little overlapping except for the relating of the production history. He also goes into the feuding at the end. Both are very worthwhile. 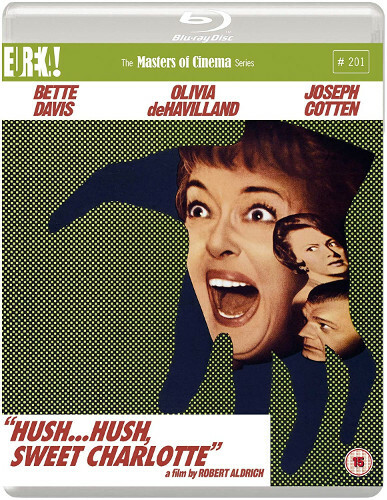 Now follow three DVD featurettes, beginning with Hush…Hush, Sweet Joan: The Making of Charlotte. You only learn a few extra tidbits here though some are great [love the story about Davis performing one of her best scenes in the film], and it’s nice to see Davis’s son Michael Merrill and Aldrich’s daughter Adell as the now familiar story is ran through again. Bruce Dern Remembers has the actor have some memorable tales to tell, including even a Hitchcock one I didn’t know, plus how he could have had his real hand chopped off during his character’s death scene if he hadn’t been careful. And Wizard Work from 1963 has Cotten narrate as we’re taken around the house and observe some filming. Davis and De Havilland larking about is especially nice to see. One of the best examples of a very curious cycle of films and a juicy slice of Southern Gothic with some fine special features – Highly Recommended! *PLUS: A collector’s booklet featuring a new essay by Lee Gambin, archival imagery and more!